A little extra holiday post here. 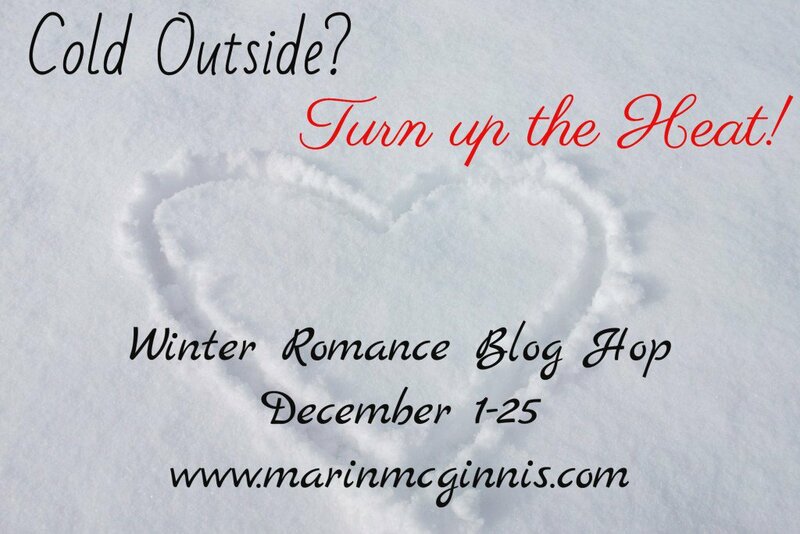 I'm participating in a Winter Romance Blog hop hosted by author Marin McGinnis. 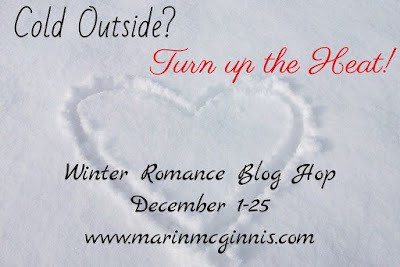 Stop by her blog from now until Christmas to check out her lineup. Many are offering giveaways! I will be giving away (to Canada and US commenters only) an I'd Rather Be Reading ornament plus organic tea and goodies! Today, since it's the Christmas season, I'd figured I'd talk about fruitcakes. What is it about the Christmas fruitcake that causes such a divide among people in America? There are those that definitely hate fruitcake and then there is a minority of people who actually love fruitcake. But I was actually willing to try making one. For myself! Not to give away. Just to see if maybe my not liking this stuff had anything to do with freshness and quality control. But alas, I'm doubting I'll have time. However, if I did venture this route, I would use Alton Brown's recipe. My father-in-law actually LOVES fruitcake. He asks for one every Christmas but we usually order one for him. It's kind of a running joke in the family. In the book, the hero's mother loves fruitcake and makes one every Christmas. But the family doesn't have the heart to tell her they all hate fruitcake and eat it every year anyway. LOL! I don't know, maybe it's the texture thing from all the dried fruit that has me balking. I'm not really an oatmeal raisin cookie person either. But regardless, I'm willing to give it another go and try it again this year. What about you? Do you LOVE or HATE fruitcake? Have you ever made one? I had a lifelong disdain of fruitcake until I tasted a sample at a local bakery. (Collin Street Bakery in Texas) It was super moist and very rich. A small slice is all you need. I send my mother a small tin every year. I had it once as a kid and I'm definitely in the do-not-like category. You're right, most people hate them. Nope, I don't like it. Maybe it's because the kind I've tasted was too dry. I loved that scene in the book. I don't like fruitcake. My grandmother use to make different cakes and give as gifts to the kids (her kids and their families). She would always make my mom fruitcake, which she loved. You would find me picking out all of the fruit and nuts. Thus, I started getting a German Chocolate Cake, because I was special like that. My mom has taken to making her own fruitcake now. It's still a NO for me. I'm not a fan of Fruitcake, but when my dad was alive he wanted one every year, he loved them. He is/was the only one I know that actually liked them. I've never actually had fruitcake, but I've seen it, and not been impressed! I don't eat much fruit, I definitely don't eat cooked fruit, so there's no way I'd probably like it. In fact, my stepdad gets one from some of his clients every year, and we always have to try to find someone new to pass it onto every year. Fruitcakes are ok but they have to have a lot of crunch to them in the way of nuts. The more walnuts and pecans the better. I don't like store fruit cake.But I do like homemade.My mom found a recipe using yellow cake mix and it's really good.Moist not dry. I like to eat fruitcake. I used to eat it when i was a kid. I bought one in Costco,NJ. I am the only person who ate all the fruitcake. I love all types of fruitcake, but the dark type is my all time favorite I've never made one myself, but I remember helping my grandmother when I was young. Always I hated fruitcake! Then, I ordered one for my Mother from an abbey in Kentucky (Internet said it was the best fruitcake so had to be true). Mother INSISTED I try just one tiny bite as it was the best she'd ever eaten. Now, I order one every year! This truly is delicious! Although I also love to bake during the holidays, so maybe I'll look into making one and see what it's all about. My neighbor is from England and she makes the best fruit cake--it takes about a month to make (lots of resting) so I don't plan on trying to make it myself, just hoping for a slice again this year. Fruit cakes in the store--those are just nasty and make really good door stops. I should look for a gourmet one at a bakery to compare. I'm actually not a fan of fruitcake! I prefer chocolate!! My mom has made fruitcakes for years! There is a cute reference to fruitcakes in one of my daughter's childhood books! I like fruitcake. I use a old family recipe that was changed a little for me when I was a kid because I didn't like some of the fruits involved. I don't make it every year but every other Thank you for such a cool blog article. I'm not a fruitcake fan, although my grandmother loved it. I think there are too many other delicious desserts to waste my calories on...lol Love the ornament! I've only ever had my grandmother's and it is very dry and I did not like it. So not sure if there is good fruitcake out there that I have not yet tried, but I'm willing to try if I find some more!